Come on men… admit it, you wish you knew the best hair products to use. Instead of just asking, you try one, it ends up being sticky and then you have to deal until it’s out. Or; you check out what your friends are using when you make a trip to their bathroom. I don’t blame you. If I was a guy, I can’t say that I would ask a girl either. However, male or female, the products work the same for each. It doesn’t matter if you are blonde, brunette, have dreads, braids, curls or spaghetti hair like me. We are all human and I know most of us stick to what we know best. It’s tough to try new things, especially when it comes to a hair product you could be stuck with for the next three to six months. In my lifetime I’ve probably tried on average twenty five hairsprays. My mom raised me on a rat tooth comb and Aqua Net. 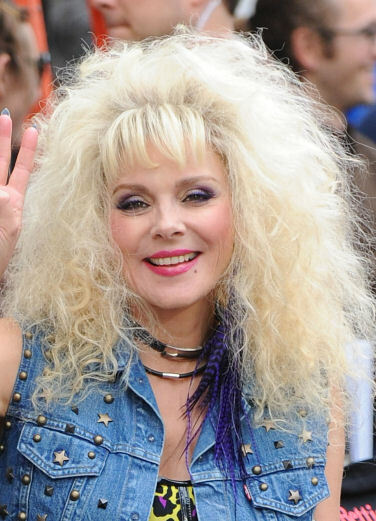 Now, I by no means recommend Aqua Net for everyday use, but when you’re in the mood to get a little wild and out of control, or your hair is as straight as a noodle, Aqua Net will do the trick. Now on to the purpose of this post. To introduce you to a whole new world of hairspray. Ones that keep your hair in place, ones that don’t make you feel like you are playing the role in “Something About Mary” or “Hairspray” and those that you will continue to use everyday without even thinking. For all of you who use Loreal, Garnier Fructis and other brands from the grocery store, whether you color your hair or not, these products are absolutely the death of your hair. First of all they completely strip your hair, leading to breakage. I mean, most of us don’t have manes like Lions, so using this for an extended period of time could leave you with less hair. Then there’s the alcohol issue in these products which blatantly dries your hair out; think flakes on your scalp. Ew. And finally, for those of you who color your hair, don’t even get me started. WHY on earth would you spend your hard earned money to color your locks and then use any of these products that are busting with sulfates and parabens? Ladies- Don’t even tell me you can’t afford a six dollar increase on your hair products. Here’s an idea, next month get a guy to buy your first drink on Friday night and put that $10 towards saving your mane. So while any given grocery store hairspray ranges from $3- $6 here are some other healthier and still affordable options. This one is the best for light hold, keep your hair in the same place, but still allows you to run your fingers through it. Smells awesome, for men and women! This is the best if you are looking for VOLUME. So unless you have a Pauly D hair style, men there is really no real reason for you to use this one. 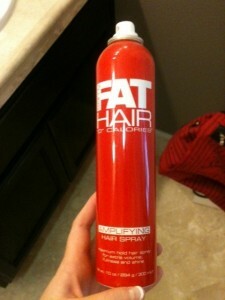 Ladies, this works great if you DO need to have your hair like a wig, meaning big, luscious and …. untouchable. This is somewhat closer to SAMY Fat Hair but with a little less crazy. I usually use SAMY Fat Hair to rat my hair or I spray it after I flip my head over. The Paul Mitchell is more for looks, keeps your hair looking shiny and gorgeous with the added volume. If your hair is anything like mine this is needed constantly. This honestly holds your hair tight through fussy weather, dancing, running etc. It makes your hair shiny and keeps it in place. 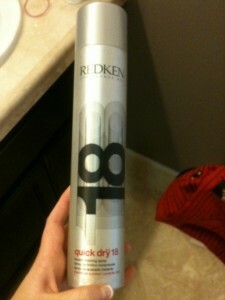 Best used for curls, an up-do or anything where you want your hair to stay without moving. Great for MEN and Women, yes guys, this is the best used as a quick spray in the morning if your hair is somewhat untamed. I always use aqua net. I SWEAR upon it. Haven’t used anything else ever since… My hair is always fine after I wash it, is it really that bad?